So I was goofing around online til I stumbled upon this very interesting post on article on 9GAG (don't judge, tell me you don't do the same in your free time...) on a workout routine that is a little different compared to your everyday workout routine suggestion. 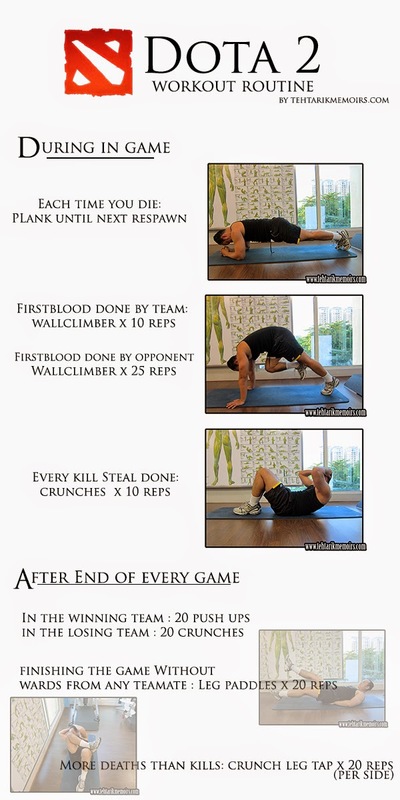 This time around, the workout routine is made specifically for online video game players, specifically DOTA players. As many would perceive, online players don't necessary portray a "fit" image among the public, more often than not people who spend most of their time in front of a computer playing video games are usually seen either as very skinny, pale skinned people with close to no physical attributes whatsoever or a really fat dude who can't get himself out of his chair even if he wants to. Which I know its just a stereotype for gamers (or is it?). So we here at Teh Tarik Memoirs decided to spice it up a little bit and we made a list of things a DOTA player can do as a workout routine AND IN THE SAME TIME not jeopardize valuable game time. 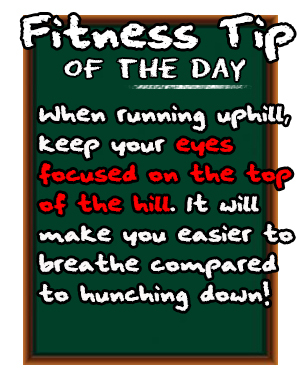 So I formally challenge any regular Dota Players out there to take this up and see if it would improve your fitness level or not! Would love to see the feedback from you lot who would try this!